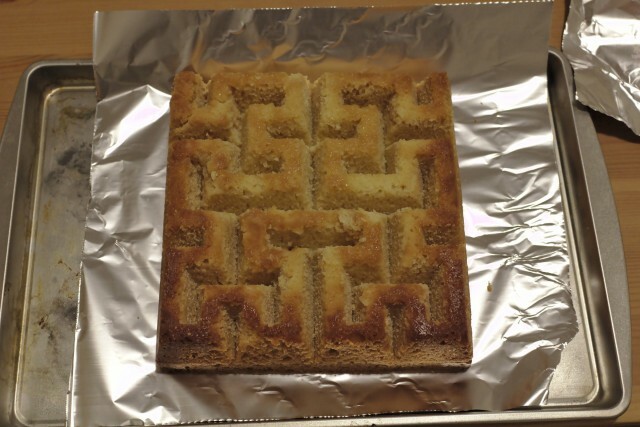 Three years ago, I entered an Ashley Book of Knots Cake into the Johns Hopkins University Sheridan Libraries’ third annual Edible Book Festival. 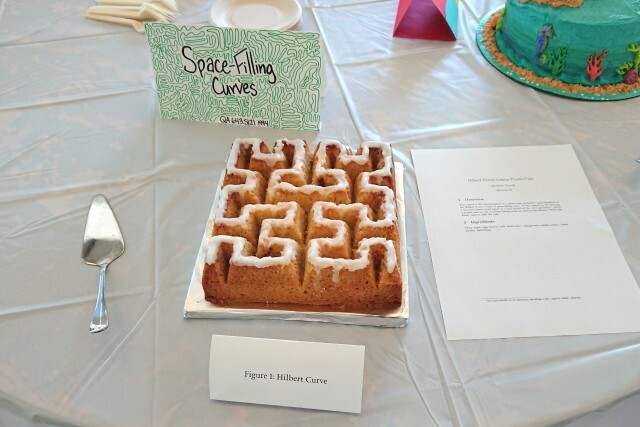 For this year’s contest, I figured I could apply my 3D-printed Hilbert curve microwave absorber research to craft a cake for Hans Sagan’s Space-Filling Curves book1 on the eponymous topic. 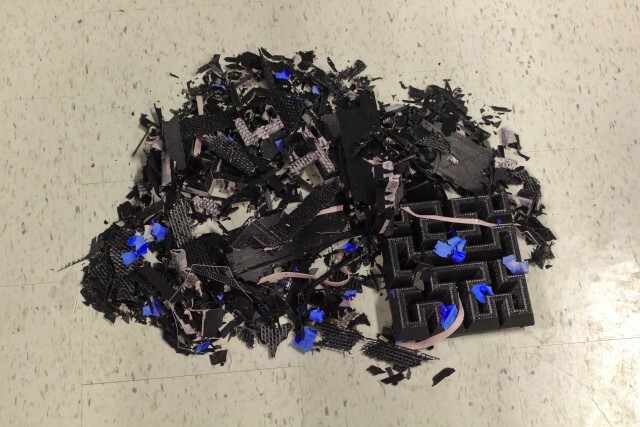 Thus began an endeavor involving thermoplastic, silicone, and sugar. 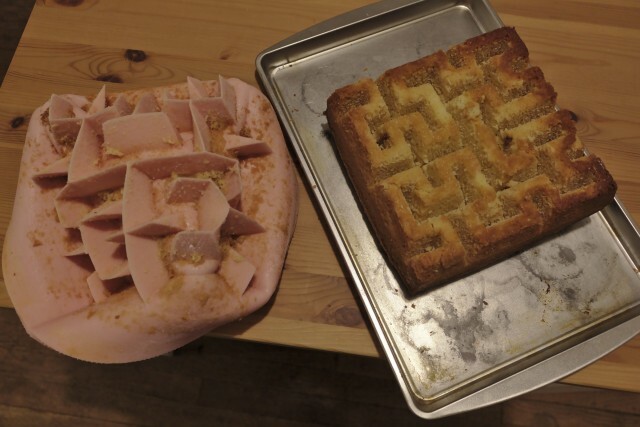 I saw two ways to make a cake shaped as a Hilbert curve, using an appropriately shaped baking mold or painstakingly carving the appropriate shape out of a baked cake, with the former option being the logical path to pursue. 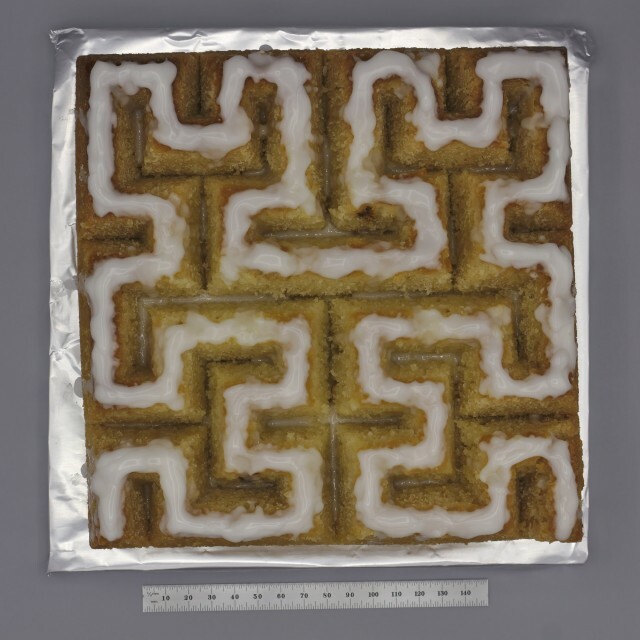 This raised the question, how does one create such a mold? 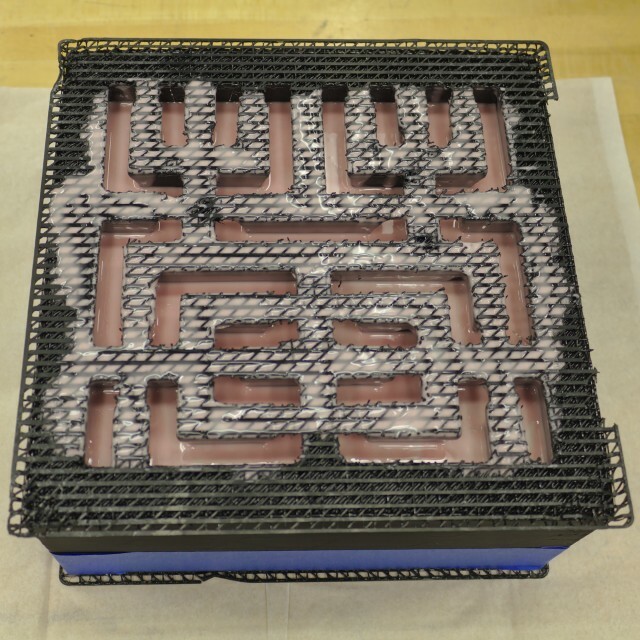 Baking molds are generally either metal or silicone, with silicone having the distinct advantage of being much easier to work with for such a shape, since it can be cast at room temperature. 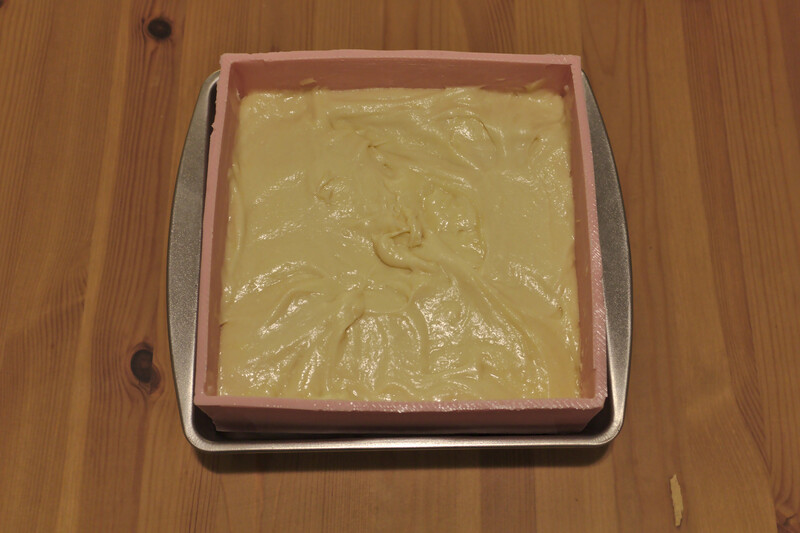 Thus, one needs to create a mold with which to cast the silicone baking mold. 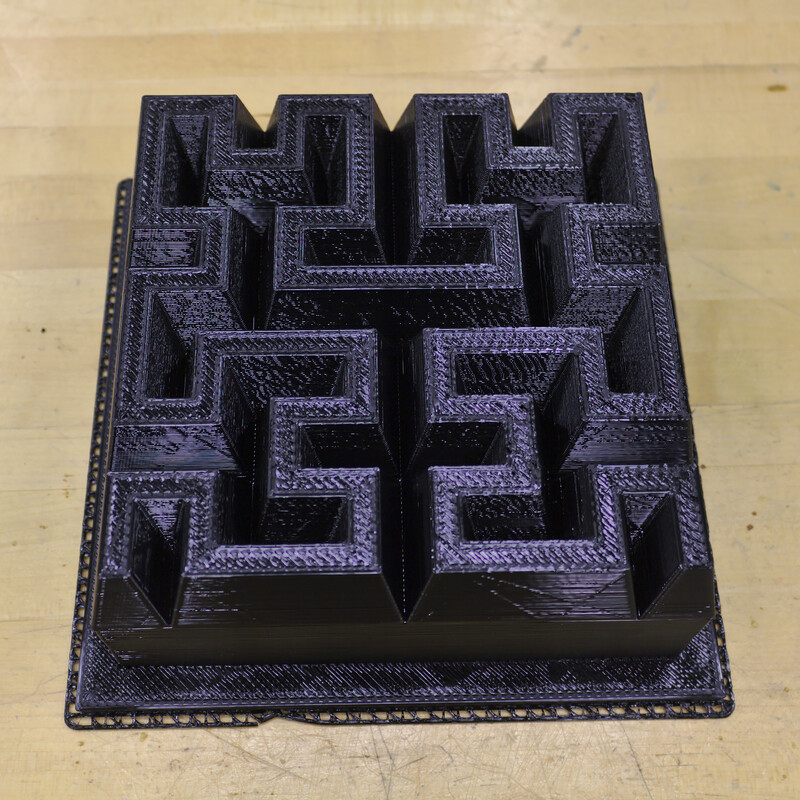 Fortunately, 3D-printing is well suited for this, and I already had experience 3D-printing Hilbert curve geometries. Starting from my existing Hilbert Curve solid models, I designed a two-part mold for a third-order geometric approximation of the Hilbert Curve. 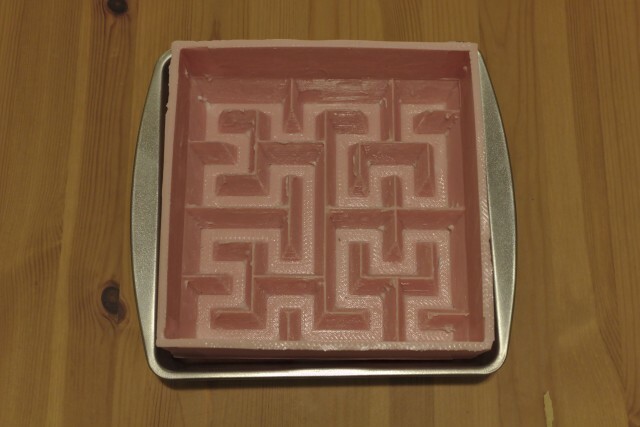 Compared to a single-part mold, a two-part mold allows for a thinner silicone wall thickness, which reduces silicone material usage and makes it easier to turn the mold inside-out, a necessary step in removing the eventual cake from the baking mold. 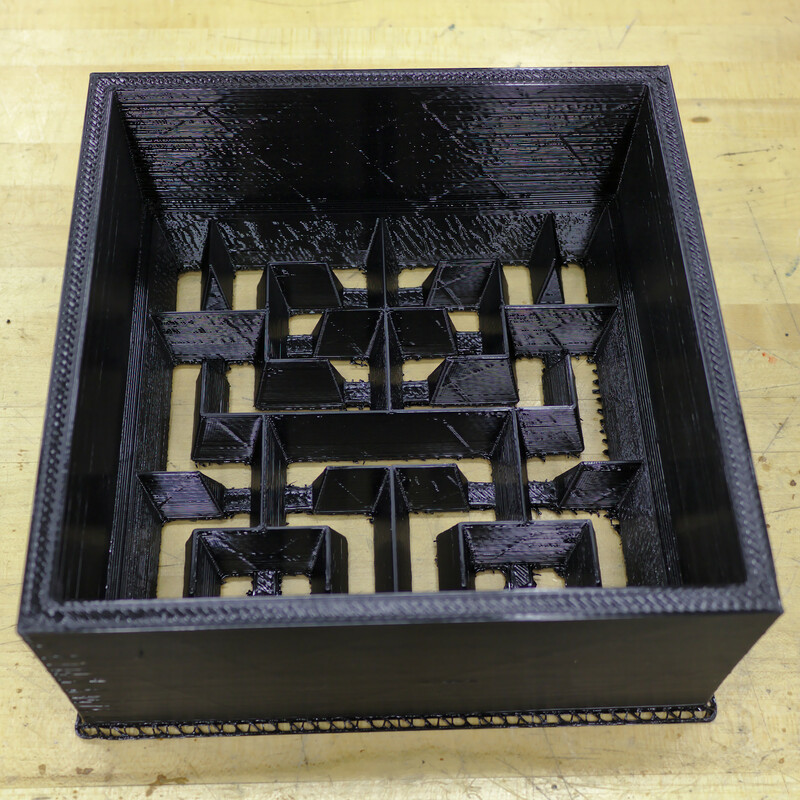 This mold was printed from PETG—for no particular reason besides having it around—on a Lulzbot TAZ 6 printer; as the mold is rather large, a printer with a large build volume is necessary. 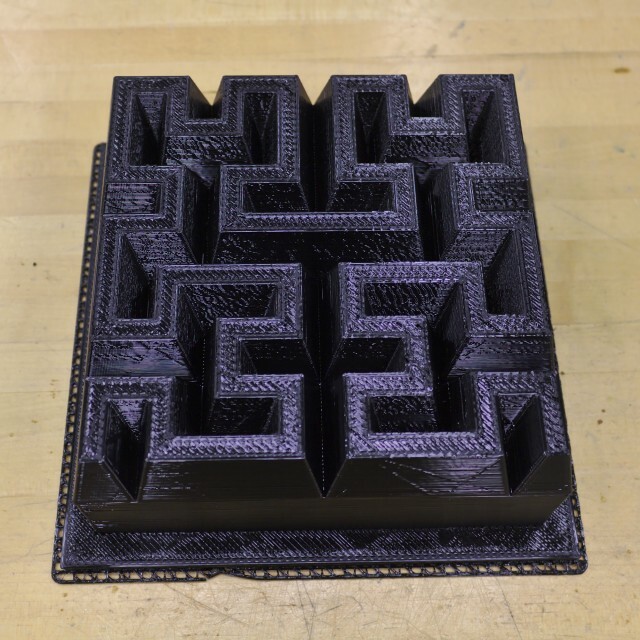 A 1.2 mm nozzle was used to reduce the printing time, a single wall extrusion2 and 10% infill were used to reduce material usage, and a raft was printed below the part to aid with removal from the printer’s bed. When generating the G-code, a solid layer was added just below the Hilbert curve geometry to ensure that it would print correctly with the low infill percentage. Once the mold was assembled, 1 kg of food-safe silicone3 was mixed, vacuum degassed, poured into the mold, and allowed to cure. I then thoroughly washed the silicone mold and was finally ready to begin baking. 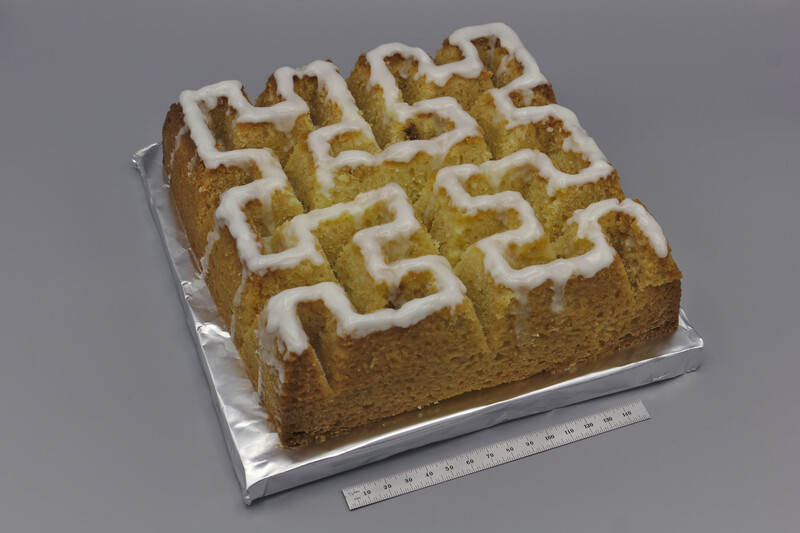 To increase my chances of success, I decided to use a recipe meant for a Bundt pan, a lemon pound cake.5 The recipe is below, courtesy of my mother. 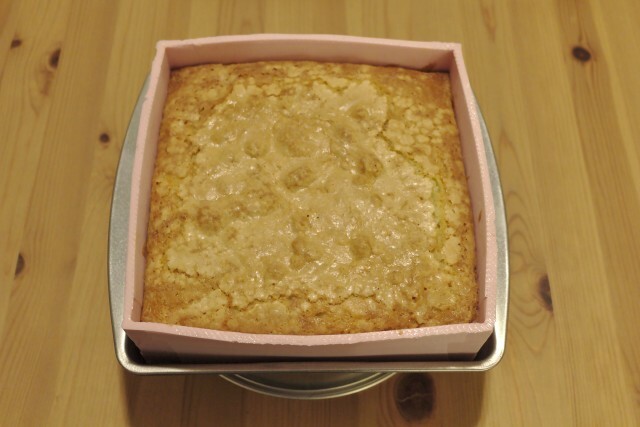 In mixing bowl, cream together sugar and butter until light and fluffy. Add eggs one at a time, beating well after each. Stir in vanilla and lemon extracts. Mix lemon juice into milk. 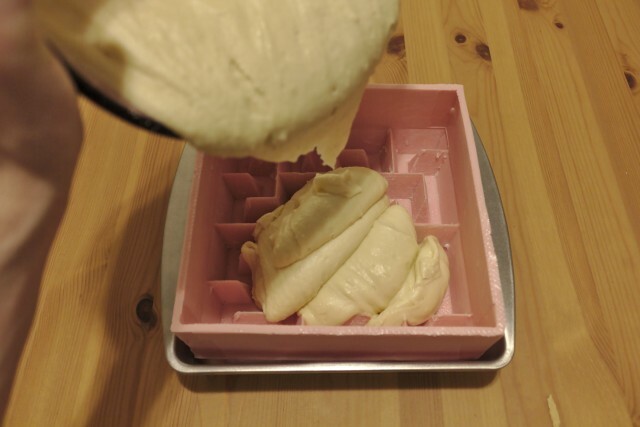 Thoroughly sift together the flour and baking soda. Add flour mixture to creamed mixture alternately with milk solution, beating well after each addition. Pour into greased mold. 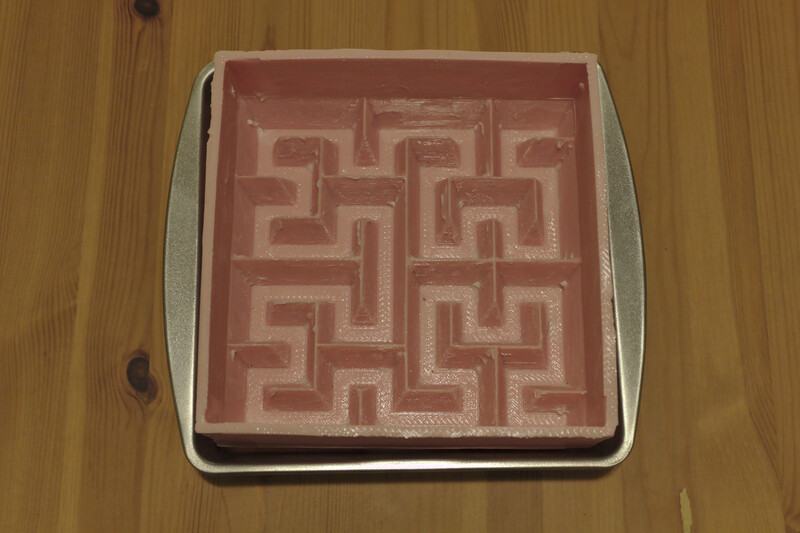 The silicone baking mold was placed into an 8″ square cake pan for support6 and thoroughly greased with shortening; while silicone baking molds don’t need to be greased, in theory, I decided it was best to do so if I were to have any chance of removing the complicated cake geometry from the mold in one piece. 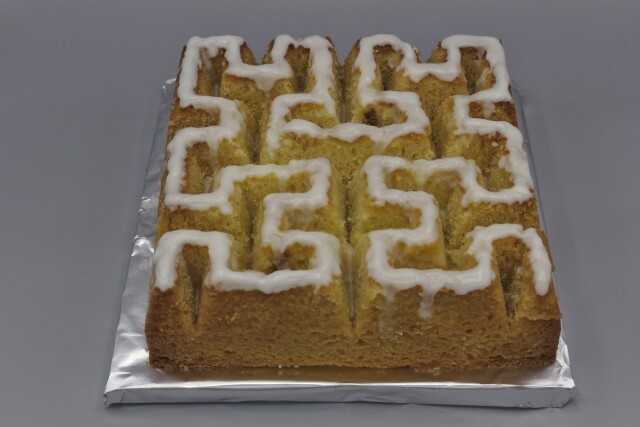 I then flipped the cake back over and sliced the bottom flat. 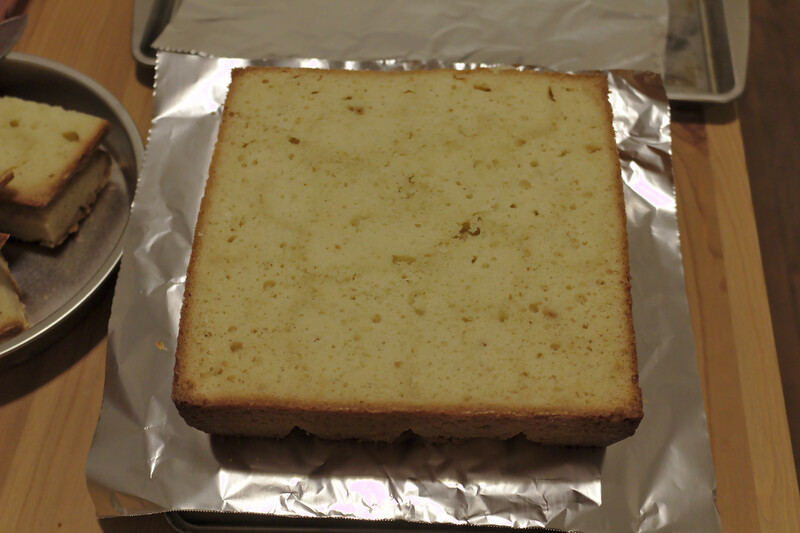 Finally, the cake was ready for its finishing touch, a lemon glaze, mixed from a ratio of one cup confectioner’s sugar to two tablespoons lemon juice. 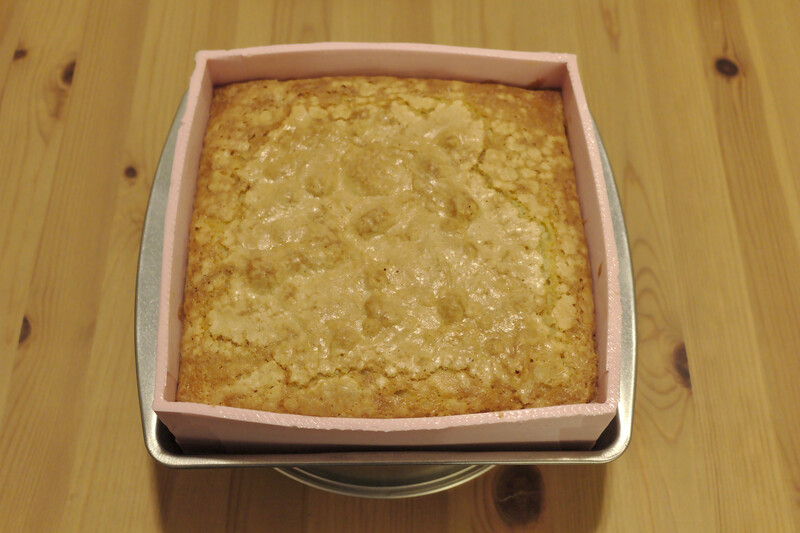 I carefully and methodically brushed on four coats of glaze using a silicone basting brush, completing the cake. Sadly, I didn’t win anything, just like last time, but there was stiff competition from many excellent cakes. The model files from the mold are available. 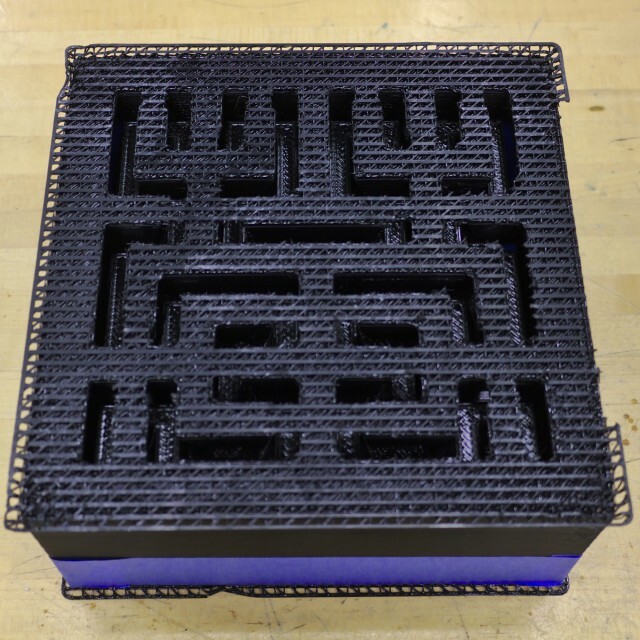 This entry was posted in Miscellaneous and tagged 3d printing, baking, cake, Hilbert curve, silicone, space-filling curve. Bookmark the permalink.